Imagine visiting a Starbucks and needing to use their public restroom while you’re there. What would you do if you found a hidden camera? That very scenario happened to a Fulton County, Georgia woman in April 2018. Upon finding a hidden camera taped under a baby changing station, the woman removed the camera, battery pack, and USB transfer cable and notified the manager. The police report stated that the woman had to urge the manager to call 911. . No suspect was ever identified. However, if a suspect is found, they would face at least one felony charge of eavesdropping according to the police. While Starbucks is a retail establishment that offers a public restroom, restrooms are not considered to be public spaces. They are seen as private spaces. This makes hidden cameras found in bathrooms illegal regardless of whether the device is found inside of a business or a private home. 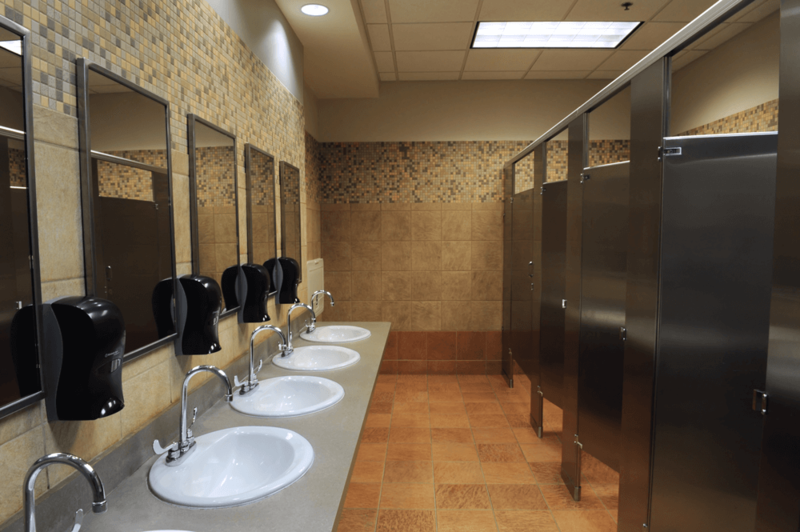 Bathrooms provide us all with a reasonable expectation of privacy. The police report for this particular incident stated that the camera had “several” videos of people using the restroom. Starbucks, who is no stranger to public relations nightmares, issued a statement via email that expressed gratitude to the customer and staff who contacted the authorities and offered their continued support for the incident. Yet, this incident is another mar against the company’s already blemished image. And it was an incident that could have been prevented. The hidden camera was found by the customer who was using the restroom. She found it attached via tape to the underside of the baby changing station. In short, it’s not exactly like it was hidden by a pro. It’s reasonably appropriate to assume that this device should have been found by a Starbucks employee tasked to clean and maintain the bathroom. The police report stated that there were at least 25 videos. That’s a lot of video. If a customer saw the hidden camera, there’s not much of a reason as to why it wasn’t found sooner by an employee. Can Businesses Find Hidden Cameras in Their Facilities? Not all hidden cameras are easy to find. It’s clear that whomever placed the device in the Starbucks bathroom was in a hurry: a device secured with tape on the bottom of a baby changing station. With tiny devices that can be hidden in pinholes, in ceilings, or even inside of wall plates, is there anything a well-meaning business can do to protect themselves from this sort of bad publicity? Look for signs of a hidden device (or an actual device) on a regular basis. Check under sinks, inside of cabinets, behind artwork, under changing stations, and behind decorative items. Also, look in any small holes (or not so small ones) in the room. Look for debris, crooked wall plates, and items that you know you didn’t place in the room. Debris can be a sign of a hastily installed hidden camera or listening device. Crooked wall plates could be just crooked enough to provide a tiny gap for a tiny camera lens. Spy devices now come in all shapes and sizes and can easily pass as a room decoration (remember the stuffed animal nanny cams?). Call Spy Catchers LLC for a professional-grade bug sweep. This is the best solution for absolute assurance that there are no hidden cameras or recording devices in the bathroom(s) of your business or home. Depending on the experience (and time available) of the person who planted the device, there could be few to no signs. To ensure that your home or business free of these intrusive devices, call us immediately for a free quote at 1-800-373-8726.